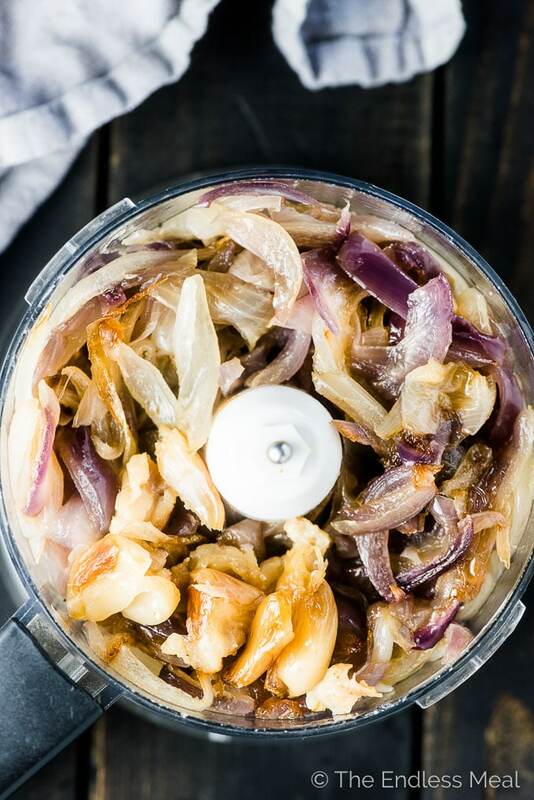 Roasted Caramelized Onion Dip is a HEALTHY (no joke!) 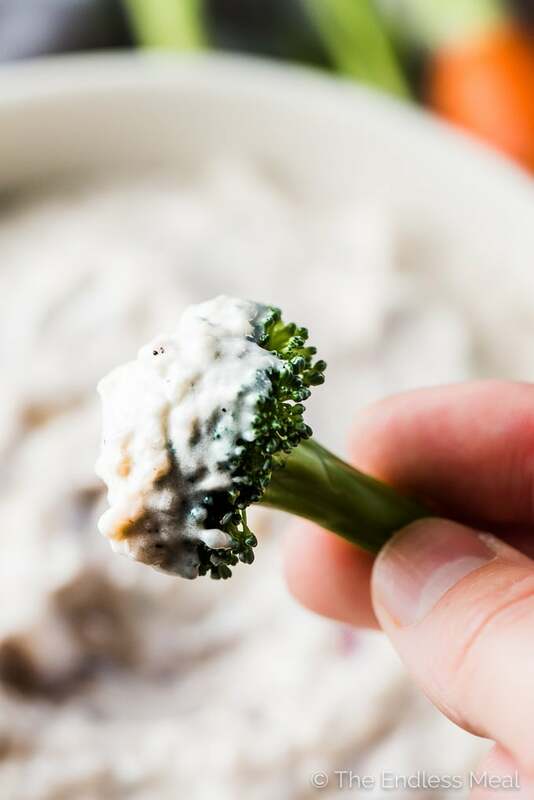 French onion dip recipe that is super easy to make and crazy delicious. Gather around, friends. I've got a caramelized onion dip recipe and, seeing as we're pals, I'm going to share it with you. Cause friends always share their caramelized onion dip. Remember the Knorr French onion dip that mom made when we were kids? That dip and some crinkle cut salted potato chips were what party dreams were made of when I was twelve. Fast forward to the age of wanting to know what I'm eating (I can't even pronounce the words on the back of that soup mix label nevermind know what they are) and this caramelized onion dip was born. It is every bit as deliciously dippable as the original. 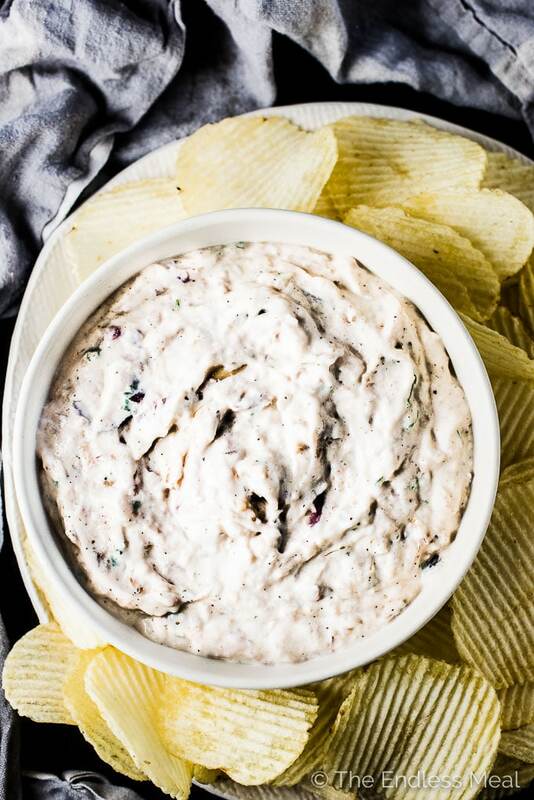 This caramelized onion dip is made with thick, Greek-style yogurt. Read: no mayo! 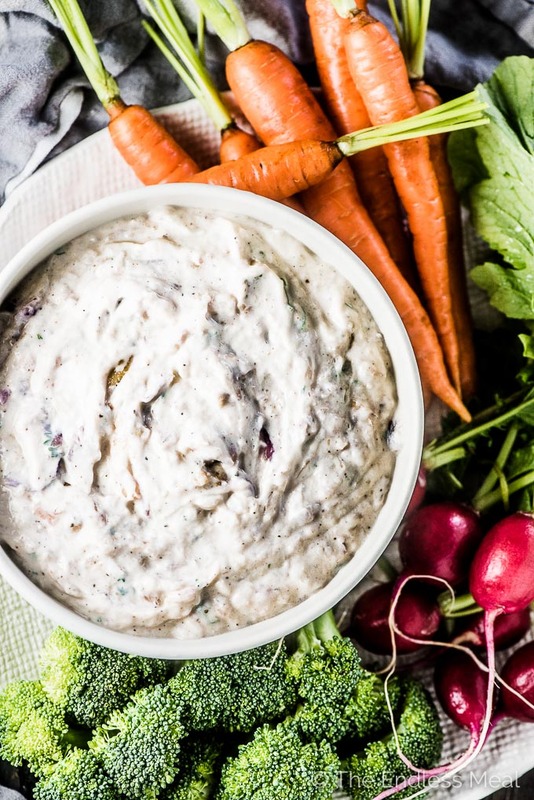 You can call this a healthy caramelized onion dip if you want. I didn't cause it makes it sound less delicious, but it is made with all good for you ingredients so you won't be lying if you add healthy to the name. 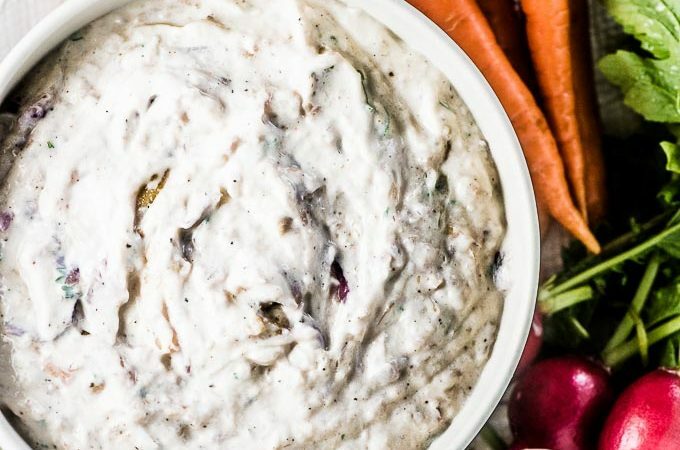 It's a homemade French onion dip that is seriously easy to make. If you can slice onions and use a food processor, you can make this. With party season coming up (I'm looking at you, Halloween, Thanksgiving, Christmas parties, and New Year's Eve) you're going to want a quick and easy dip recipe. THIS dip recipe. 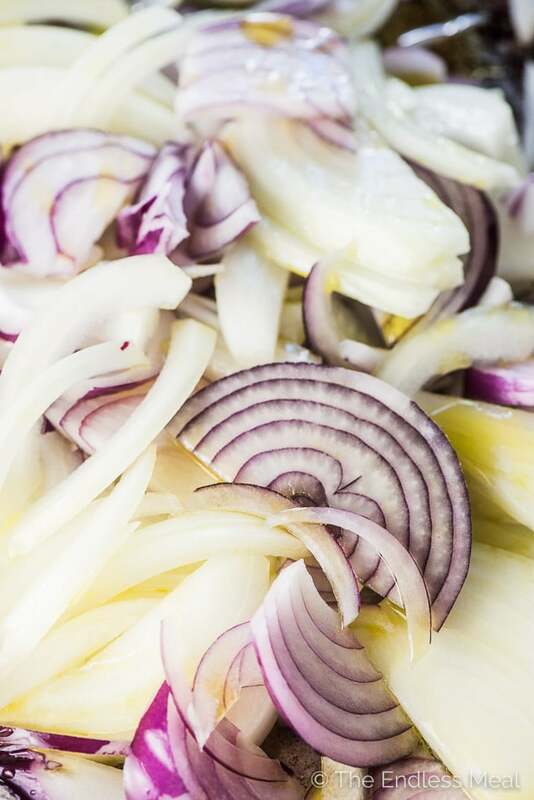 Slice your onions and toss them with a little oil and water. Throw a few garlic cloves on the tray and pop them into your oven. Now go relax while they roast themselves into sweet, caramelized magic. Blend the onions and garlic in your food processor. You could chop them by hand if you wanted, but a food processor makes this step super fast and easy. Now take that deliciously roasted onion paste and mix it into the thickest yogurt you can find, add a little lemon juice and a pinch of cayenne and pepper and you're done. 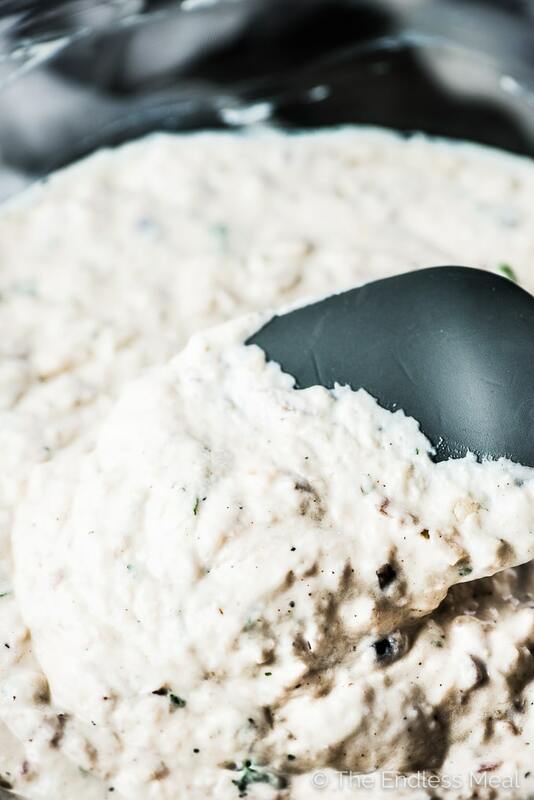 Your homemade French onion dip is ready for you! 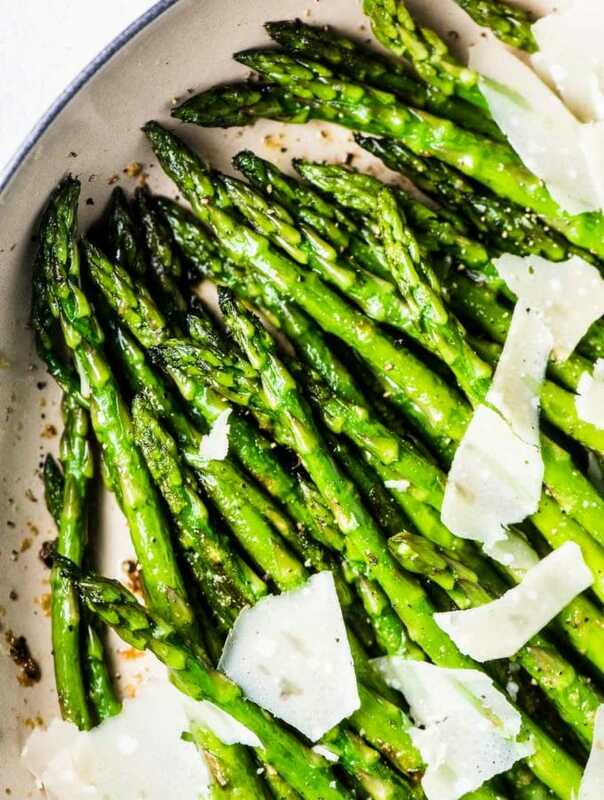 Or some healthy (and still tasty) veggies. The choice is yours, my friends. 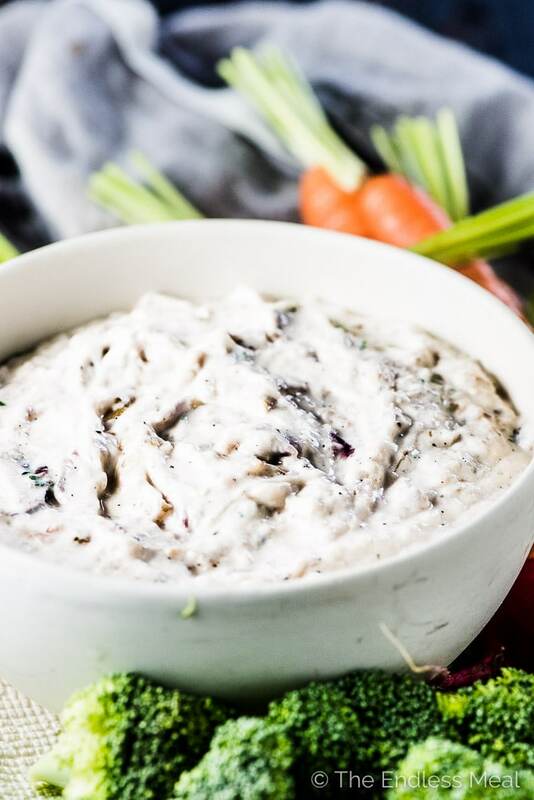 You take this caramelized onion dip in any direction you want! 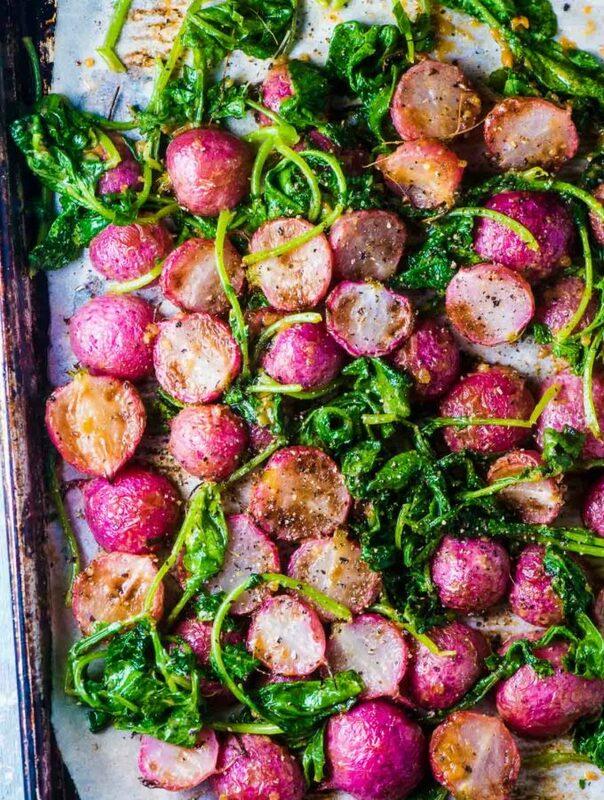 Turn your oven to 375 degrees and line an 18×13″ baking sheet with parchment paper. 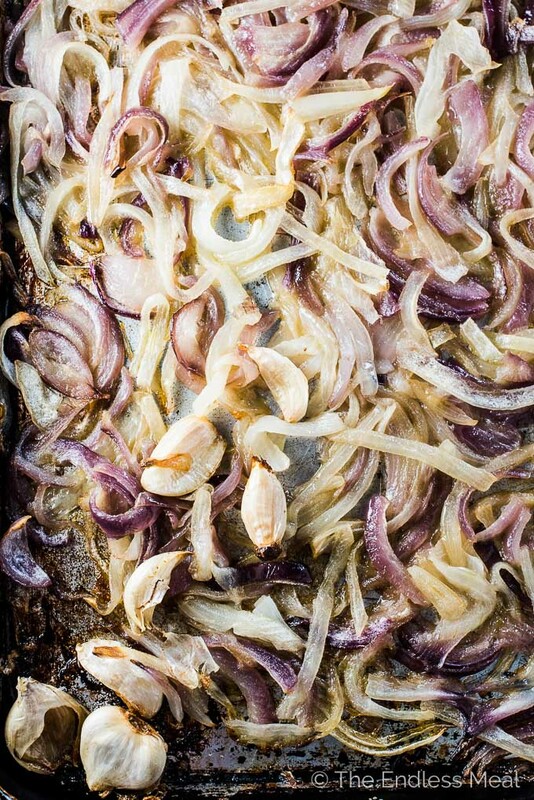 Add the sliced onions and the garlic to the baking sheet and toss with the oil, salt, and 2 tablespoons of water. Tuck the garlic under some of the onions (to protect them from the heat) then roast for 1 1/2 hours, tossing the onions halfway through. Remove them from the oven and allow them to cool slightly. Squeeze the garlic from the skin and add it and the onions to a food processor. Process on low until a chunky paste forms then transfer to a medium-sized bowl. Add the yogurt, lemon juice, cayenne, and pepper to the bowl and mix well. Serve with your favorite dippers! You can dig into this dip right away (it's delicious!) but the flavors come together best after you let it rest for a couple hours in your fridge. Talk about YUMMINESS GALORE! I don’t think I’ve had roasted onion dip before. EVER. If I did, I was probably super young and it was a one-time experience. Do you think dairy free yogurt would be a viable substitute for the thick yogurt? I don’t eat dairy, so I would love to know any modification suggestions you have! To be totally honest, I’m not super familiar with dairy-free yogurts. 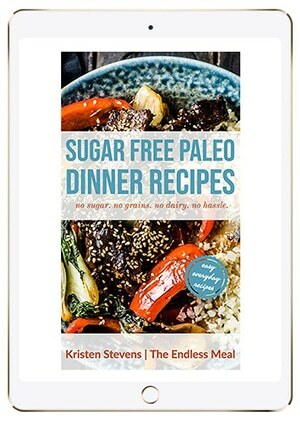 Because so much of this recipe relies on the yogurt, you’ll want to make sure to use one that doesn’t have a funny flavor. Do you have a favorite brand? If you do, I would try it with that and maybe add a little lemon juice if the yogurt needs a little extra tanginess.